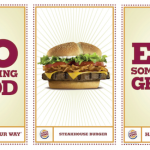 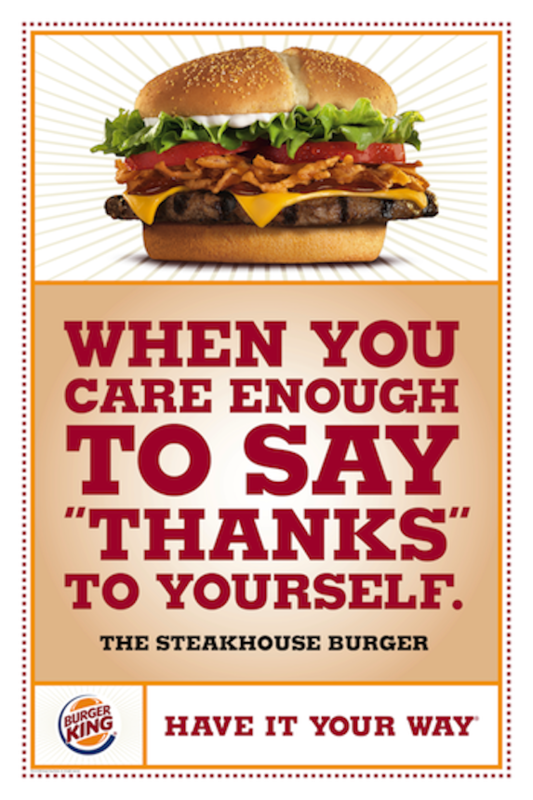  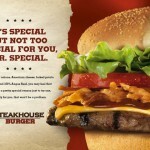 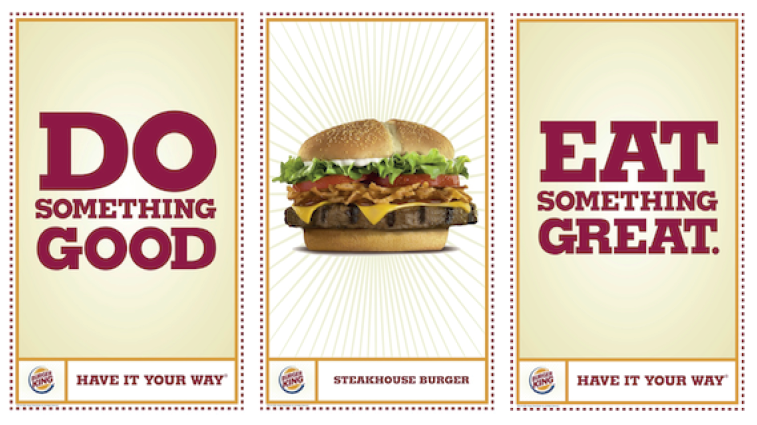 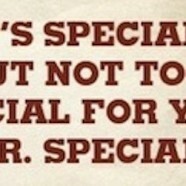 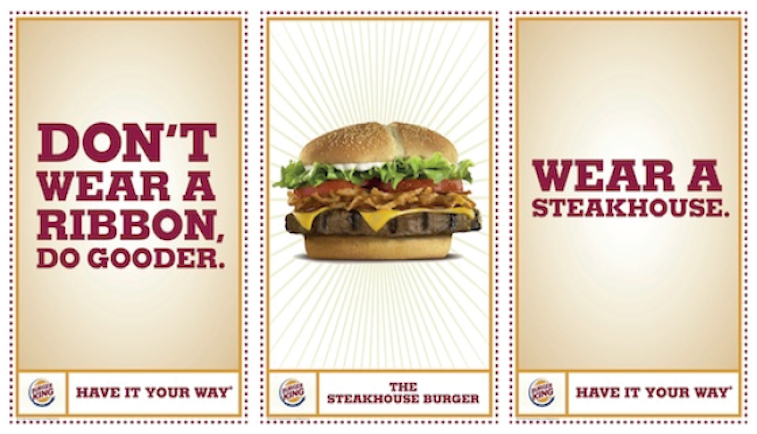 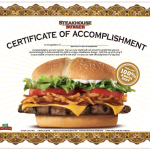 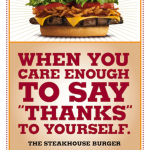 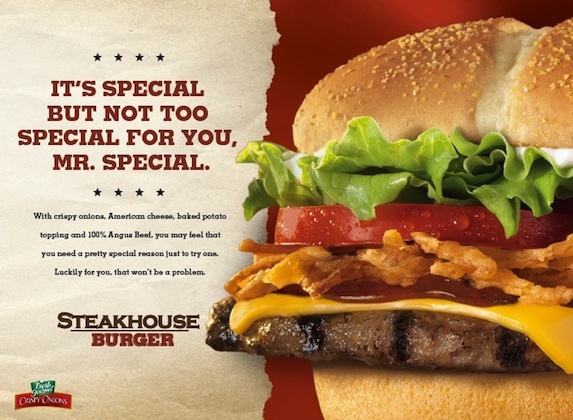 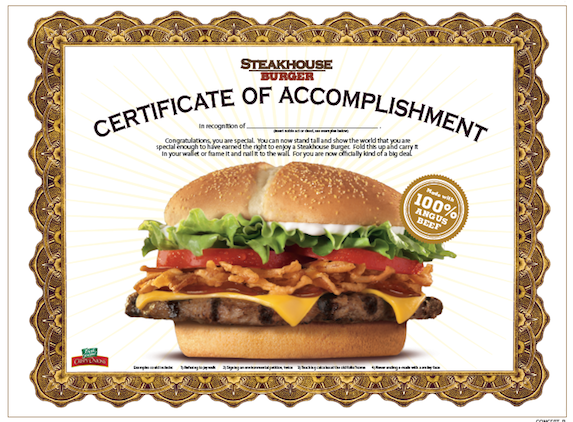 “Steakhouse Burger Launch” in-restaurant campaign created for Wunderman. 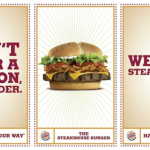 Big, juicy premium burgers decked out with indulgent toppings were taken up a notch with a humorous messaging campaign in store. 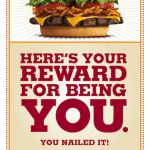 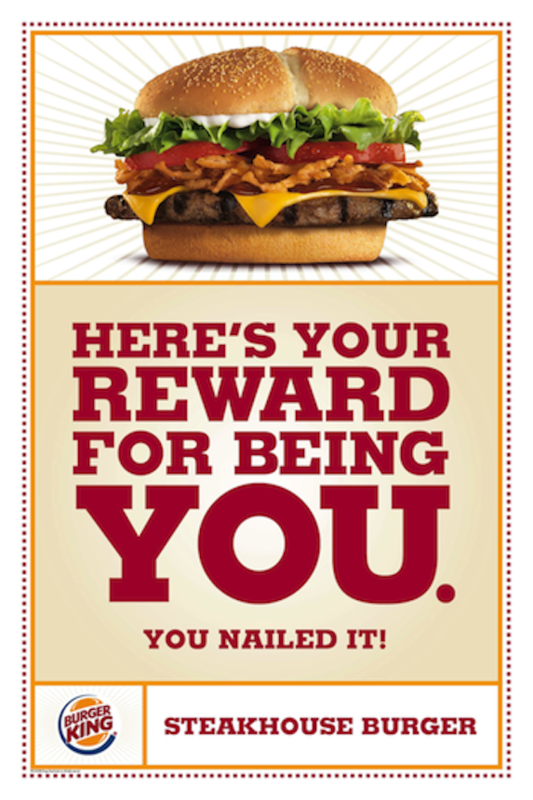 The concept was simple: “you don’t just eat one, you earn one.” This funny approach included two 3-panel drive-thru messages, posters and two different trayliners that encouraged people to reward themselves for doing good.